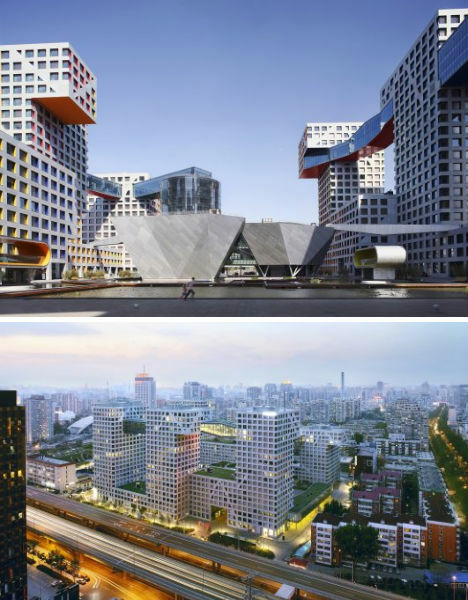 For nearly 35 years, Steven Holl has been one of America’s most iconic and innovative architects, designing dozens of attention-grabbing structures all over the world including the recently unveiled ‘Horizontal Skyscraper’ in Shenzen, China. Named ‘America’s Best Architect’ by Time Magazine in 2001 and winner of many global competitions and honors including the 2010 Jencks award, Holl creates livable, sustainable structures that are highly customized to their surroundings. 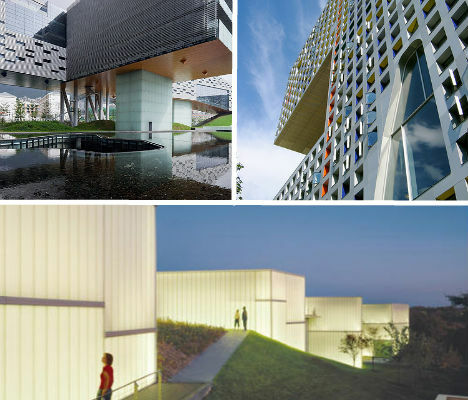 Some of Holl’s most acclaimed buildings include the Simmons Hall at MIT, the Nelson-Atkins Museum extension in Kansas City, the Linked Hybrid Towers in Beijing and the incredible ‘Horizontal Skyscraper’, a mixed-use complex that is as long as the Empire Building is tall. 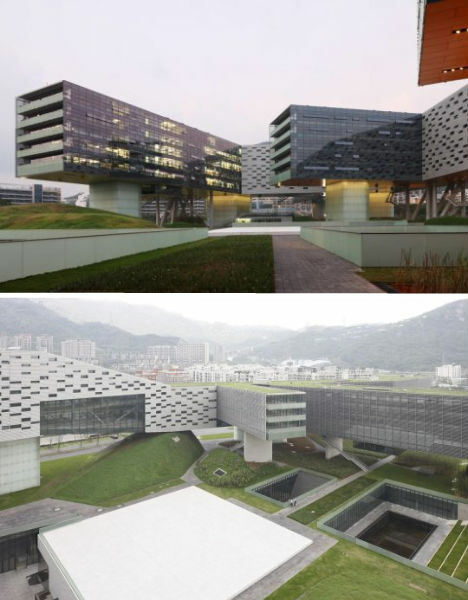 The latter project – also known as the Vanke Center – hovers above a tropical landscape in Shenzen, with sunken glass cubes placed on the underside of the floating structure offering 360-degree views of the greenery and water below. 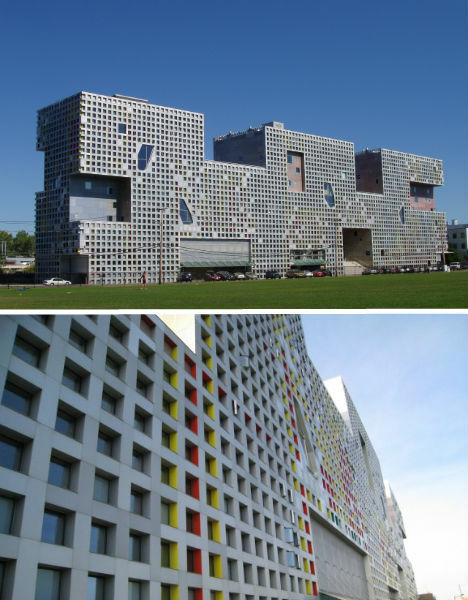 Holl’s ‘Linked Hybrid’, a complex of eight linked towers that aims to be an “open city within a city”, was named the Best Tall Building of 2009 in the Asia and Australia category by the Council on Tall Buildings and Urban Habitat. Multiple passages invite the general public inside to enjoy the retail space, restaurants and other offerings and explore the building’s many roof gardens and elevated walkways. Inhabitat recently scored an exclusive interview with Holl, asking him to describe his signature style. The answer? It’s not about Holl – it’s about context. 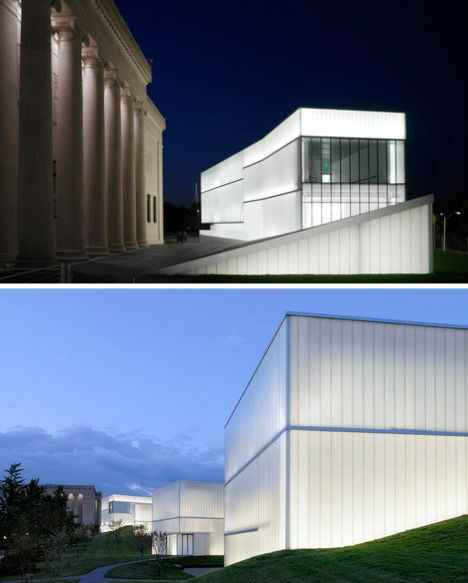 “I believe that architecture needs to be completely anchored in its program and site. Its meaning must be so deeply rooted in the conditions of its inception that it’s unfazed by fashion. My first book Anchoring describes the relation of a building to a site, to its culture and to its metaphysical origins.